Heel and Arch Support You Can Trust | Your Concerns Answered | Parker Foot and Ankle What conditions can be treated with RFNA? Radio frequency nerve ablation (RFNA) is one way we can treat nerve and joint pain in your feet. It uses the electrical current from radio waves to heat small areas of tissue—like damaged or scarred nerves—which reduces their ability to send pain signals to the brain. It has been used in arthritic joints to reduce pain from degeneration in the cartilage or joint linings. 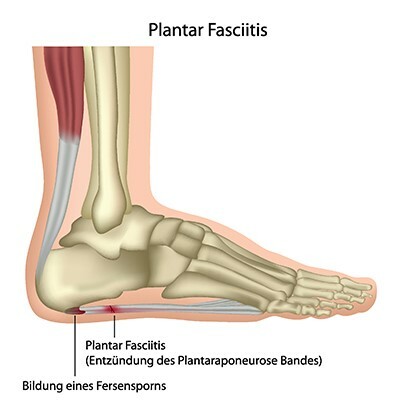 It has also been used to treat chronic plantar fasciitis or neuromas that do not respond to conservative measures. The current is applied through insulated probes that are directed specifically to your painful nerve, using ultrasound imaging and a nerve stimulator to guide the placement. The procedure isn’t for everyone, especially if you have bleeding problems or current infections. Although it is minimally invasive, some type of anesthetic and or sedation will be used to reduce your discomfort during the procedure. If you have chronic foot pain that conservative treatments haven’t alleviated, and don’t like the idea of a full surgical procedure to correct or remove them, RFNA may be a less invasive alternative that can help. Call Parker Foot & Ankle in Houston at (281) 497-2850 for an appointment to discuss this possibility. Extracorporeal shockwave therapy (ESWT) has been used for some time to treat conditions like tendon damage and plantar fasciitis that are stubborn and don’t respond to other conservative remedies. Still, most people don’t understand how shockwave therapy works, and even scientists may not fully understand why it does. Shockwave therapy uses high energy acoustic waves that are strong enough to produce an actual physical effect, like a plane traveling fast enough to break the sound barrier. Shockwaves seem to stimulate even chronic, non-healing injuries to revert to an acute healing phase, so cell repair and growth can take place. The machine we use allows us to control the shockwaves so precisely that they can pass through undamaged tissue and hit directly at the injured tissue. 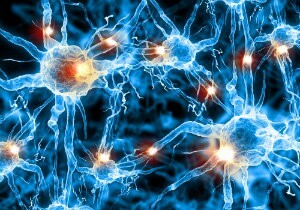 The treatment stimulates formation of microscopic circulation (blood flow) and metabolism (cell activity). In addition, ESWT helps break down calcification (hardening) in soft tissues and stimulates fibroblast cells to start healing connective tissues like tendons and ligaments. If you are struggling with chronic foot pain that doesn’t seem to heal, Parker Foot & Ankle may be able to help with ESWT. Call (281) 497-2850 to reach our Houston, TX office and find out if it’s right for you. How can Tenex help with heel pain? Heel pain can be caused by many things, but when the culprit is Achilles tendinitis, an ultrasound treatment called Tenex can reduce heel pain. Rather than masking the symptoms with medication or trying to fix the tendon with surgery, this therapy uses a minimally-invasive procedure to remove the damage and scar tissue so the tendon can heal and function normally without pain. We use an ultrasound image to locate the damaged tissue. Then we numb the area and insert the TX MicroTip through a tiny incision right to the spot of the scar tissue or damage. Using high-frequency sound vibrations, the device breaks down the unwanted tissue and removes it. The action does not harm the surrounding healthy cells, but the vibrations stimulate them to reproduce and form new, healthy tissue. The procedure is quick, and has few side effects because anesthesia is not needed, and there are no stitches to care for—just a regular bandage over the tiny incision. The pain relief may be almost immediate, and the tendon quickly heals. Most can return to activity in six weeks or less. If you have sore heels, call Parker Foot & Ankle at (281) 497-2850 to see if this advanced treatment may help you. Is surgery required for a broken heel? Stress fractures of the heel can occur with repetitive trauma during activity. These hairline cracks often heal fine with RICE therapy, immobilization if needed, and staying off your foot. Be sure you follow our instructions about resuming weight-bearing. A calcaneus fracture in which the bone is not displaced (fragments moved out of position) can also heal with conservative treatment. Immobilization will likely be necessary, as well as the use of crutches or knee walkers to keep all weight off your foot. When the bone is collapsed or crushed out of its normal outline, surgery will almost certainly be needed if you want a good outcome. We can realign the fragments and hold them in the correct position with plates or pins. A lengthy recovery period will follow as the bone knits and physical therapy helps you regain proper function in your foot. Heel fractures are serious injuries that need prompt, expert medical care. Call Dr. Robert Parker at Parker Foot & Ankle in Houston, TX for diagnosis and the appropriate treatment. You can also request your appointment online. Are there multiple causes of chronic heel pain? Chronic heel pain is often quickly diagnosed as plantar fasciitis (maybe too quickly) and treated with orthotics, pain medication and rest. This can be a mistake that leaves you with months of limited mobility and discomfort. There are many reasons your heel would hurt: a fracture, Achilles tendonitis, an inflamed bursa, or entrapped nerves caused by neuropathy, tarsal tunnel syndrome, or other underlying conditions. They may also hurt simply because the fat pads on your heel are deteriorating, or you stepped on something and bruised the bone or tissue. Even a bone spur can press on the surrounding tissue and cause inflammation, swelling or pain. You need a foot expert that uses the latest research and testing to determine exactly what is leading to your discomfort. You’ll find both in Dr. Robert Parker of Parker Foot & Ankle in Houston, TX. Call our office at (281) 497-2850 or request an appointment through our website and take the first steps to enjoying life without chronic pain in your heels. Why is my heel pain so bad right after I get out of bed? Heel pain is usually at its worst first thing in the morning because of how plantar fasciitis affects your feet. When your plantar fascia band is irritated and swollen, it tightens and pulls on the bottom of your heel bone. Standing and walking throughout the day helps stretch this out. When you spend a significant amount of time sitting or lying down, however—like you do when you sleep at night—the plantar fascia swells and tightens up again. As long as you’re off your feet, this isn’t a noticeable problem. When you stand up for the first time in the morning, the force of your bodyweight on your feet very suddenly stretches out your plantar fascia band, often creating micro-tears in the tissue. This causes the intense, sharp pain in your heel that you feel. As you walk around and the band loosens, the pain usually decreases. The condition tends to get worse unless it’s treated, though. Let Parker Foot & Ankle in Houston, TX, help you manage your heel pain. Use our website or call (281) 497-2850 to reach us. What are the Main Causes of Heel Pain in Adults? The main causes of heel pain include plantar fasciitis—the most common. However, Achilles tendinitis, stress fractures in the heel bone, Haglund’s deformity, arthritis, bursitis, and tendon ruptures are other frequent culprits. Sometimes general wear and tear on the heel padding is enough to cause the discomfort. Slightly less common are tarsal tunnel syndrome and bone tumors. Typically the pain worsens the longer the underlying condition goes untreated. Determining the exact source of your discomfort will be the key to alleviating your pain. If you’re struggling with heel pain, whether it’s under your heel or at the back of it, don’t wait until you can barely walk around to seek help. The sooner your condition is addressed, the easier it will be for you to recover. Contact Parker Foot & Ankle in Houston for more information or an appointment—by calling (281) 497-2850 or by using our website contact page to reach us. When should I see a podiatrist about my claw toes? The sooner you take care of your claw toes, the better off your feet will be. Claw toes are a deformity of your digits that can become permanent if left alone for too long. The condition starts out flexible and relatively easy to manage. Over time, however, your toes stiffen and become fixed in the bent position. Once they become rigid, only surgery can correct this problem and fully relieve your discomfort. If you want to manage your toe issues conservatively, you should let Dr. Robert Parker and our staff at Parker Foot & Ankle take care of your lower limbs when your toes first show signs of curling and clenching. That way we can help you begin physical therapy and make the shoe or orthotic changes you need before the problem progresses too far. Don’t wait to make an appointment. Call our Houston office at (281) 497-2850 or use the website to reach us. Are there stretches to relieve my heel pain? Cold massage – Freeze a tennis ball or water bottle. While it’s frozen, set it on the ground and roll it back and forth under your sole. Press down on it gently to massage your feet. Plantar stretch – Sit with your painful foot propped up on the opposite knee. Flex your foot and pull back gently on your big toe. Towel stretch – Wrap a towel around the ball of your foot and grab the free ends with your hands. Pull back on the towel until you feel a stretch. There are plenty of other possible stretches. If you’d like to learn more about stretches for heel pain, just let us know. You can use the web request form, or contact Parker Foot & Ankle in Houston, TX, by phone. Just call (281) 497-2850. How can I tell my arch type? There are multiple ways to tell your arch type, but the easiest way to check when you’re at home is to perform the wet test. Lightly wet the bottom of your sole and step onto a piece of heavy, white paper. Stand normally for a moment, then step off the paper. The footprint you leave behind should give you a pretty good idea about the shape and height of your arch. There are three types of arches: low, average, and high. A low arch leaves behind a complete and wide print. Nearly the whole sole will be visible. An average arch has a curve in the middle of the foot, leaving an almost c-shaped partial print. A high arch has no visible arch in a footprint at all. Just the ball of the foot, the heel, and the thin outer edge of the foot will be clear. If you’re not sure what your wet footprint is telling you, or you want help taking care of any arch pain, let us know at Parker Foot & Ankle in Houston, TX. Just call (281) 497-2850 to reach us.